The heroes are arranged by pick rate, and the data considers all games played in any region during the past 30 days. I will also analyze the reasoning behind the success of some picks. All tables are sortable and responsive. Doom is the hero you desire when dealing against a troublesome magic opponent. With his ultimate, Doom, he can render one caster completely helpless for 16 seconds - often enough for the entire duration of a teamfight. Versatile item build and great aura carrier. He can purchase anything the team requires. Pipe of Insight, Vladmir’s Offering, Drum of Endurance, Shiva’s Guard, Heaven’s Halberd, and Assault Cuirass are just some examples of useful items that will benefit all the team. There is no wrong item choice on Doom. Power spike at level 6. After unlocking the ultimate, he can easily get kills ganking a lane or waiting for a support to rotate in the offlane. Can farm in any lane. 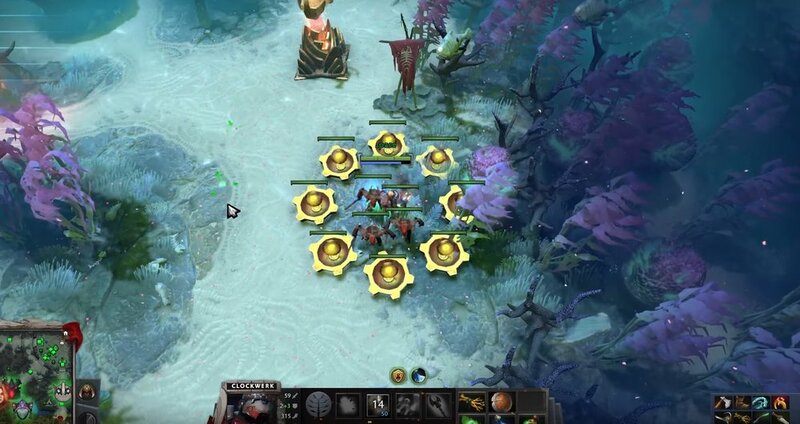 Even when playing in a very hard lane where he can barely move from the tower, Doom can still get extra gold and experience by Devouring creeps in the adjacent jungle. Natural sustain via Scorched Earth. It provides 12/18/24/30 health regeneration bonus, which is plenty to survive in the early game. Easy win by Devouring a Satyr Tormenter. If Doom can encounter one during the lane stage, the 5.5 extra health regeneration provided by Unholy Aura will make him essentially immune to early harassing. It is equal to 330 hp in a minute. Great against magic heroes. He can easily deal with them thanks to his huge 720 health pool at level 1 and the great health regeneration. Both heroes are fine choices to boost the teamfight power of the team and to face melee heroes in the offlane. He is weak against ranged nukers as they can harass him from outside his aura’s range and keep him at bay spamming multiple spells. When fighting Omniknight, buying many clarity potions is advised. A tough hero, and very hard to counter. Honestly, no team in pub will ever build a draft against him. Perfect against right clickers. Drunken Haze debuffs the target with a movement slow and a 70% miss chance for just 25 mana. His item build can adapt to any game. Brewmaster only requires a pair of Arcane Boots and a Blink Dagger to perform his job. Auras work on his pandas, enhancing even more his utility in all teamfights, especially in the mid game. I already talked about Omniknight and Brewmaster in the top 15 best strength heroes article, so head there for the full explanation. Maintaining the lane equilibrium in your favor can make the difference between life and death, and it is also a hard skill to acquire. Clockwerk has always been a popular offlaner because Power Cogs can alter the path of the creeps according to his necessities. Even in the most difficult lane, where all hopes to survive away from your tower range are lost, he can just continue using his skill and get safe exp and gold. Cheat mode on. In today’s meta, early roamers are precious, and Clockwerk can adequately do this job starting from level 6. He is a superb single target ganker as he can reach the enemy with Hookshot and separate him from the rest of the team with Power Cogs. He is also quite tanky with 720 health points at level one and a 3.2 strength gain. A great choice when you need an initiator tough enough to survive a risky fight, particularly versus magic users thanks to his hp pool. Even after leaving the top 10 we can still find strong heroes, but they are more situational as often they can adapt to less matchups. Sand King is a great ganker, but he can be also a real nuisance in the lane. Currently, there are two popular ways to build him based on your main goal: roamer or lane dominator. Roaming and ganking. You will utilize the “classic” build based on Arcane Boots and a quick Blink Dagger. Lane control. You will need a tankier build. Tranquil Boots, Drum of Endurance, and Force Staff are often the core items as they provide a lot of movement speed, mobility, and health regeneration. All that regen in the early game, together with a Magic Wand, will let you stay safely in the lane and ignore most of the harassing attempts. The later is more complex to play and I would suggest it only to seasoned players. The Blink Dagger in the early game makes all initiations easier, and you don’t have to risk your life too much trying to win the lane and harass the carry. Optionally, some players prefer the Urn of Shadows before the Blink Dagger. As a natural ganker, you will quickly charge it, and later on you can always upgrade it into a Spirit Vessel. But, if you need the mobility right away, be aware that 875 gold for the Urn will slow down your Blink. Let me also add that many players still use Sand King as a jungler. In a previous article, I explained how the jungle has been nerfed over time, and that greedy junglers are ruining our games in this meta. Sand King can farm the jungle pretty fast, and I still find many afk players exploiting his abilities there. Still, the hero is both a good laner and a great ganker, and your priority must always be the team. If you end up jungling with him, do it as a side job. You should use the jungle as a source of gold when no gank is achievable. 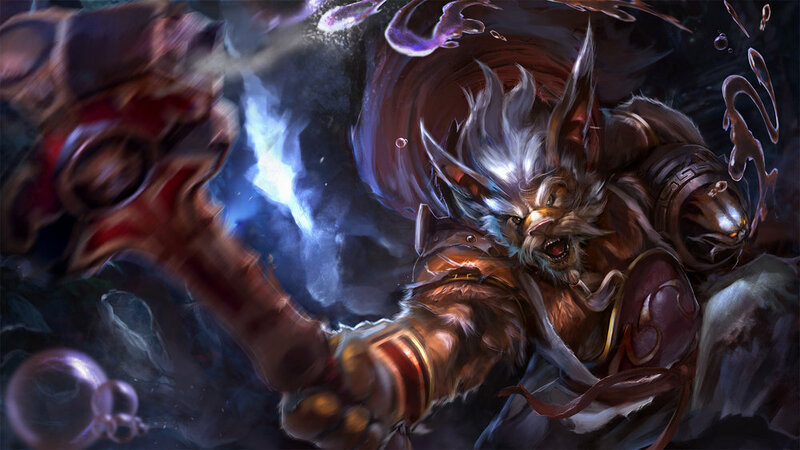 Usually, the role of a hero in the offlane is to farm as much as possible without risking his life, pressure the enemy carry if possible, and bring extra utility to the team after the lane phase. This is what Puck does. High damage: 53-64 at level 1. A lot of damage in the early game and a good animation make him an excellent last hitter. Also, he is a serious nuisance for the enemy carry if the supports aren’t sufficiently aggressive. Phase Shift to dodge stuns. The ability you need to master to survive in the lane. Very important when playing as a core in the mid lane, and crucial in the offlane. It doesn’t work against all disables - for example, Shadow Shaman’s Shackles can’t be avoided. Hard to zone out. Even when dealing versus excellent supports, Puck can still get exp from dangerous spots. Illusory Orb is an amazing escape skill, and if you can predict their moves, they won’t be able to catch you. Doesn’t require items. If you can deal with the mana issues, the only mandatory item on Puck is the Blink Dagger. Used in conjunction with his abilities, it will drastically boost your mobility and survivability. An elusive split-pusher. Later in the game, Puck can turn into a solid split-pusher, and if the adversaries don’t have a reasonable counter, they will have to commit many resources to stop him. There are many awesome heroes in this patch. Have a look at the best 30 hero killers of 7.07 if you desire to stomp your pubs.